The decision to install a pond entails careful consideration of the landscape, the size and depth of the pond, and the end use of the aquatic enhancement to the property. 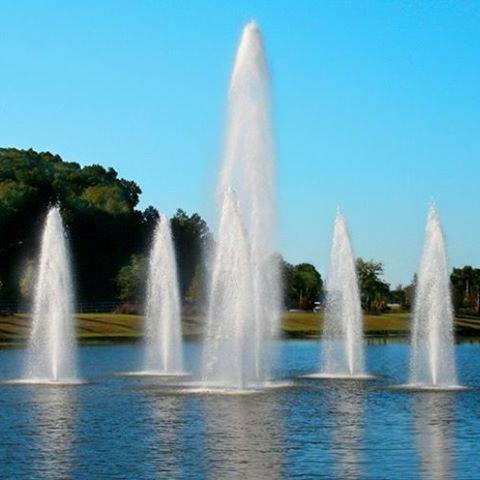 Pond Dam Piping, Ltd. has over 30 years of experience in assisting land owners and contractors with pond installation. Pond Dam Piping, Ltd. has installed their conventional PVC pipe systems, spilllway-siphon systems, and the low watershed "A" system in ponds that were intended for recreational purposes, such as golf courses, small lakes, aquaculture tiered ponds, or a simple family pond for irrigation, family recreational boating, and fishing. Whatever the size and use of the intended pond, Pond Dam Piping, Ltd. can assist in answering questions of where and how the pond should be installed. Contact your local Natural Resources Conservation Service. They are an excellent source for information regarding watershed, drainage, and soil considerations for your local area. After determining site selection and the size of the pond, a reputable contractor should be retained. If you are unfamiliar with the grading contractors in your area, the Natural Resource Conservation Service may be able to make a recommendation. Step 3 is the easiest! Call Pond Dam Piping, Ltd. and give our sales consultant the dimensions and expect to have the complete system which fits your particular needs shipped to you in a matter of days. Our large inventory of stock items ensures quick, efficient service. Customized systems, which may require fabricated specialized fittings, are our specialty and can be shipped without undue delay. Along with the basic components needed to complete the project, Pond Dam Piping, Ltd. offers a line of accessories that will add to the enjoyment of any pond. A "custom made" dock can be assembled from our "Connect-A-Dock" sections. Pond Dam Piping, Ltd. offers conventional PVC pond pipe systems, spillway-siphon systems, and the low watershed "A" system for effective, low-cost water management control to fit any aquacultural development. Please visit our contact page to request more information.